Bogeys may be gone, but birdies and eagles thrive as former greens and fairways are transformed into wild spaces. 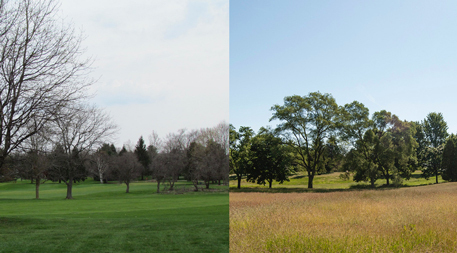 November 8, 2017 — No longer constrained by repeated mowing and herbicide applications, the manicured fairways of the shuttered Highlands Golf Course in western Michigan have given way to tall grasses swaying in the breeze, interrupted only by more than 2 miles (3.2 kilometers) of looping trails in what is now The Highlands natural area. Several of the old greens are now tall and short-grass prairie plots, offering a glimpse of what the future holds for a piece of land that had been a golf course for the past 100 years. By annexing the 121-acre Highlands Golf Course, the Blandford Nature Center is following a path blazed by organizations in at least 13 states across the country: converting courses closed due to reduced demand into nature preserves, parks and restored wetlands. From Washington to New Jersey and Florida to Wisconsin, dozens of golf courses have been transformed into natural areas, providing new recreational and environmental education opportunities to surrounding communities and restoring habitat for native plants and animals. “The potential for recreation to meet with wildlife habitat is pretty rare, because not much large open space is available for that kind of development in urban space,” says landscape designer Nick Yoder, who examined sustainable reuse options for closed golf courses as a graduate student at the University of Maryland’s Department of Plant Science and Landscape Architecture. Golf courses offer a unique and valuable opportunity to protect green space from development and incorporate nature into existing developed areas. During the 1980s, 1990s and early 2000s more than 4,000 golf courses were built to feed an expected growth in demand tied to baby-boomer golfers. But the cost and time commitment required to play eroded demand, putting courses across the country out of business. Golf participation dropped nearly 17 percent, from a high of 30 million players in 2003 to 25 million in 2013, according to the National Golf Foundation (NGF). The 2008 financial crisis exacerbated the problem, resulting in owners placing large tracts of open land on the market, often in the heart of urban or suburban areas starved for green space. In fact, golf course closures have exceeded openings every year since 2006, according to the NGF, with 211 courses closing their doors in 2016. And the NGF expects the trend to extend for several more years as an oversaturated market continues to shed unprofitable courses that fail to find sufficient players to pay green fees. After the housing market collapse beginning in 2007, nature-preserving organizations in Ohio, Wisconsin and many other states took advantage of affordable land prices to purchase golf courses, protecting green space from development. While many defunct courses are repurposed as residential developments, community opposition, zoning requirements and locations in floodplains are all barriers to development. Areas prone to flooding may be poor candidates for residential development, but perfect locations for wetland restoration efforts, while sites zoned for open space are candidates for parks and nature preserves that avoid contentious rezoning efforts. Once acquired, a golf course must be readied for restoration. This can include dealing with potential water quality issues, dilapidated infrastructure, security concerns, invasive species and more. And conditions that were perfectly fine for growing grass might need upgrading to make them suitable for other vegetation. “A lot of times [turf management] leaves behind a layered profile of soils that is not very conducive for a healthy reforestation effort,” Yoder says. At Lemon Bay Conservancy’s Wildflower Preserve — situated between Sarasota and Fort Myers, along the Gulf of Mexico — thick mats of duckweed covered three interconnected ponds, a result of past fertilizer use and an influx of nutrients from a nearby water treatment facility used for irrigation. In 2010, Lemon Bay purchased the shuttered Wildflower Golf Club after plans for a residential development stalled amid the 2008 financial crisis. 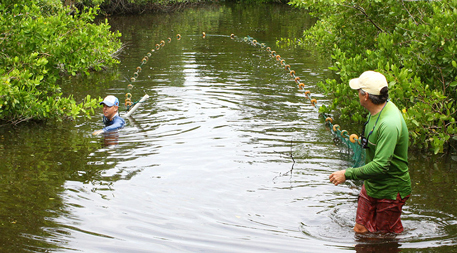 The small conservation organization employed solar aerators, artificial islands of native vegetation, water pumps and volunteers armed with nets to remove vegetative cover and reduce nutrient levels. Today the ponds are clear and the nutrient levels have normalized. If not managed right away, opportunistic invasive plant species can quickly dominate the open spaces that make up vacant golf courses, so routing them is an important part of renewing the landscape. More than 50 acres of non-native Brazilian pepper trees were removed from the Lemon Bay Conservancy’s preserve, and it will be a constant battle in the near term to keep invasive species at bay. 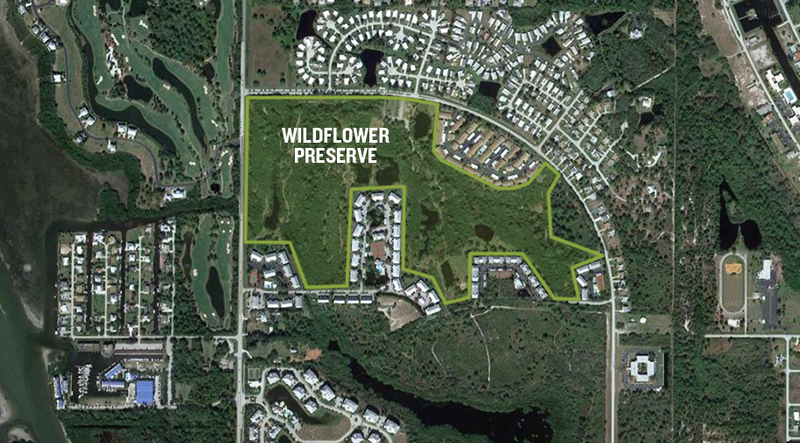 “Treatment on an ongoing basis until we can really get a new native community established is a real long-term challenge we’re worried about,” says Eva Furner, a Lemon Bay Conservancy board member and chair of the Wildflower Preserve Committee. It took more than five months to prepare the Blandford Nature Center’s Highlands site for public use. “You have underground sprinklers, utilities, electric lines. 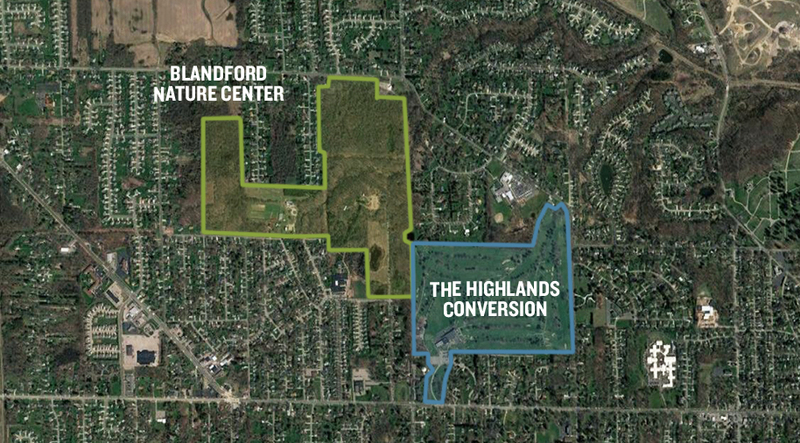 All sorts of hazards, safety concerns, and security issues,” says Joe Engel, executive director of the Land Conservancy of West Michigan, which partnered with the nature center to acquire the property. Before the public could set foot on the site, cart paths had to be removed, trails had to be cut through overgrown fairways, and invasive species had to be managed. Despite the challenges, golf courses offer relatively blank canvases for restoration ecologists to work with. “Since they’re pretty large spaces, 150 to 200 acres, often times it’s very flexible as to what type of threatened or endangered species habitats you can put there,” Yoder says. Repurposed golf courses can offer large tracts of contiguous green space that attract native wildlife, restore ecological functions and provide opportunities for members of the surrounding community to interact with nature. “This really provides access for kids and for a lot of different constituents in the city to really get out and put their toes in nature a little bit,” says Engel of the Highlands site. Along the coast of Lake Michigan in eastern Wisconsin, Squires Country Club operated for more than 70 years before the Ozaukee Washington Land Trust bought it. 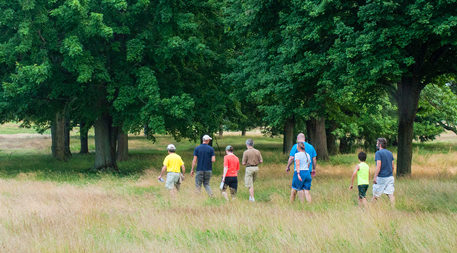 Surrounded by private land, the land trust, along with Pheasants Forever and the U.S. Fish and Wildlife Service, created a mosaic of habitat types for migratory birds at what is now the Forest Beach Migratory Preserve. 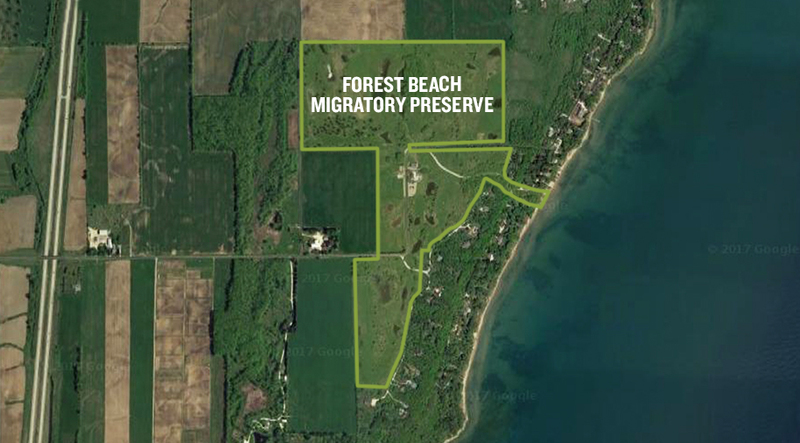 “We wanted to achieve something to attract the widest diversity of birds, we achieved that by creating nine different habitat types,” says William Mueller, director of the Western Great Lakes Bird and Bat Observatory, located in the former clubhouse on the property. Acquired in 2008, the preserve now boasts 27 wetlands with water control structures, upland prairie, an expanded hardwood forest, and opportunities for hiking, biking and cross country skiing. “This immense area of prairie grassland with a lot of different wildflowers in it right now, it bears no resemblance to the golf course that it once was,” Mueller says. Observers have witnessed more than 255 species of birds visit the preserve. Just west of Dayton, Ohio, Five Rivers Metroparks purchased the Larch Tree Golf Course adjacent to both the Great Miami Mitigation Bank Conservation Area and Sycamore State Park in 2014. Plans for the site are still in the works, but as natural succession begins to take over, grassland birds are responding. “We’ve already seen several species of grassland birds that have begun to show up once we stopped mowing the golf course,” says Mary Klunk, regional conservation manager for Five Rivers Metroparks. Lemon Bay Conservancy’s Wildflower Preserve is home to a mangrove saltwater creek system, vital for juvenile tarpon development. Upland prairie restorations and the expansion of freshwater wetlands feeding into the creek system will improve the water quality flowing into Lemon Bay and the Gulf of Mexico. “There’s so much development in Florida, that to be able to take a parcel like this and go the other way, that’s the interesting aspect of this project,” Furner says. Back in western Michigan, Jason Meyer, president and CEO of the Blandford Nature Center, is working with the surrounding community to shape the long-term plan for The Highlands. The restoration project will transform the once vacant course into an asset for the whole community, protecting 121 acres of urban green space from development. 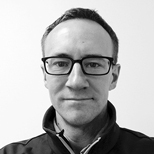 Editor’s note: Travis Wood produced this feature as a participant in the Ensia Mentor Program. His mentor for the project was Brian Bienkowski. As a team member of the design for the Lemon Bay Preserve, we were excited that the LBC was able to secure this project so it can now be restored to provide fisheries habitat and water quality improvements for the region! This story should inspire other land trusts to takeover more dormant developments. It would be great to see a map of the many abandoned golf courses in the U.S. This is a great progression from abandoned course to nature preserve. It should be pointed out however, that golf courses are managed much differently than in the past. I would encourage anyone to call the superintendent of their local course and ask about habitat and wildlife conservation on their properties. A lot of courses serve as wildlife habitat and or corridors that would otherwise be occupied by more dense development. This is an exciting time to share lessons learned in the endeavor to restore abandoned golf courses. We are looking forward to hosting a one day symposium on Dec. 4th that will feature 4 golf course restoration projects in Northeast Ohio - Acacia, Orchard Hills, Valley View & Aurora. I too have witnessed successful transformations of N.E. Ohio golf courses. Acacia, Orchard Hills are now properties run by our local park districts. Fishing, hiking, biking and nature for all. Better than buiding more homes on such tracts. Tanglewood golf course was saved from private to public when the homeowners bought the land to secure it from fracking and gas drilling. They now lease out the golf course to an operator and make $1 dollar per round as rent income. And the course is used for walking, sledding, and of course golfing.